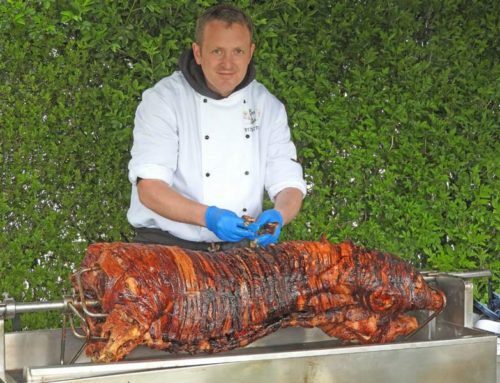 Hog roasts have increased in popularity around the world and are often seen as the center piece to celebrate certain important festivals, family celebrations or social events. 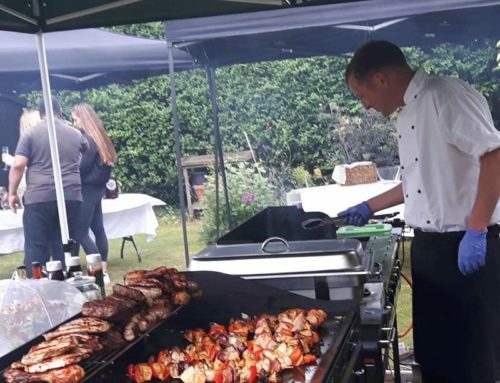 The tradition of the hog roast dates back centauries and is known by many names, such as rotisserie, smoke jack, spit roast, hog pickin’ and many more variations. 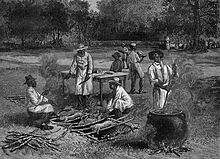 The traditional Hawaiian method of cooking a hog uses an ‘Imu’, which is a type of underground oven and one of the oldest methods of roasting a hog. ‘Kālua’ means to cook in the underground oven, with a hardwood fire built inside a pit. The pit is large enough to contain the hog, the lava rocks and vegetation to cover the food. Lava stones are placed on top of the fire in the pit, taking around 2-3 hours to reach their maximum temperature. Once they are hot they are spread out over the coals, and the pit is lined with vegetation such as banana leaves that have been pounded to make them pliable. After hot stones have been placed inside the body cavity the salted hog is placed in the imu. To maintain constant heat the meat is covered with more layers of banana leaves and soil, at least several inches deep ensuring that no steam is escaping. A hog roasted in this style can take 12 hours, if done right the pork will be tender, succulent and very tasty. The hog roasters are made out of concrete blocks, or wood with a steel metal tray fitted on the top for the hot coals. This is an unusual way to cook as the heat radiates downwards, cooking the hog from the top. The seasoned hog is placed inside and covered with additional banana leaves for extra insulation and flavour. In an American Cuban-style hog roast, the “caja china” is the most commercially popular method by which to roast a whole hog. A 65lb to 70lb hog will take up to 7 or 8 hours of roasting on a low heat. This will result in a juicy succulent pork feast, which can be ripped apart with fingers. The skin of the hog will produce crispy shards of meat that crackle when eaten. Filipino hog roasts, also known as ‘Lechon’, are usually found on the menu of many traditional taverns and bars in the La Loma neighbourhood of Manila. The Lechon is a magnificent feast and family celebration, where the herb stuffed, suckling hog is placed on a bamboo spit, and roasted over hot charcoal. When the hog is cooked it is placed on banana leaves, and decorated around with a variety of seasonal vegetables and fruits from the local area. The dish is considered by many as the national dish of the Philippines producing a fantastic extravaganza. This is a similar dish as the Philippines, and cooked in the same manner. The ‘Lechon Asado’ is the national dish of Puerto Rico, and is usually served with arroz con gandules, a Caribbean celebration food of rice, hogeon peas, avocado and roasted bananas. The roasted suckling hog is prepared in ‘adobo mojado’, spicy wet seasoning, containing crushed garlic, black pepper, salt, oregano brujo, olive oil and wine vinegar. 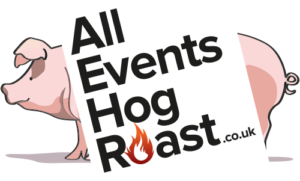 In the USA, hog roasts can be referred to as pig-pickin’ , rolling a hog, hog pull or hog roast. Pig-pickin’ is a party or gathering held primarily in the American South, which involves the barbecuing of a whole hog. Females, or gilts can be cooked as well, but boars and sows are generally too large. Pig pickin’s are very popular during the many football games and political gatherings. It encourages and attracts people to meetings and campaign rallies. The hogs can be up to 120lbs, which are split in half and spread onto a large charcoal or propane grill. A separate stove filled with a hardwood, such as black jack oak, hickory wood or some other hardwood produces aromatic coals. These coals are then transferred to the grill by shovel to enhance the flavour of the hog. The style of grills themselves can vary; some homemade while others are custom-made. Siu yuk Chinese roast meat is a variety of siu mei, or roasted meat dishes, in Cantonese cuisine. It is made by roasting an entire hog with seasoning in a charcoal furnace at high temperature. Roasted hogs of high quality are by far the most popular type of siu mei and consists of incredibly tender, juicy, and fragrant strips of boneless pork shoulder. In the process of cooking, the strips of meat are coated in a sweet sauce consisting of soy sauce, fermented soybeans, garlic, hoisin sauce, and wine. The sauce gives the meat its orange hue, as well as its richly sweet and umami-laden flavor. The southern Chinese style of cooking is nearly identical between the south parts of mainland China and Hong Kong. Sometimes the entire hog is purchased for the sake of special family affairs, business openings, or as a ritualistic spiritual offering. For example, in the entertainment industry in Hong Kong, one tradition is to offer one or several whole roast hogs to the Jade Emperor to celebrate a film’s opening; the hog is sacrificed to ward off negative reviews from critics in return to pray for the film’s success. One garnish used to make the dish look more appealing is topping the roast hog with circular slices of pineapple on the top for decoration. 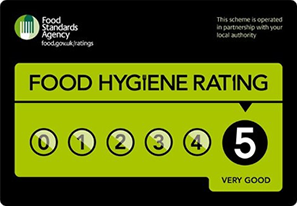 In the UK hogs the hog is usually between 35 – 80 kilos and mainly roasted in a propane rotisserie spit machine. The size of the hog varies on the amount of guests to be served and can take up to 9 hours to cook. Before cooking the skin is scored with a sharp knife, and a jug of water is poured over the hog, then covered with salt to help produce delicious crunchy cracking. A hog is then securely attached to the spit and placed in the large roasting tray. 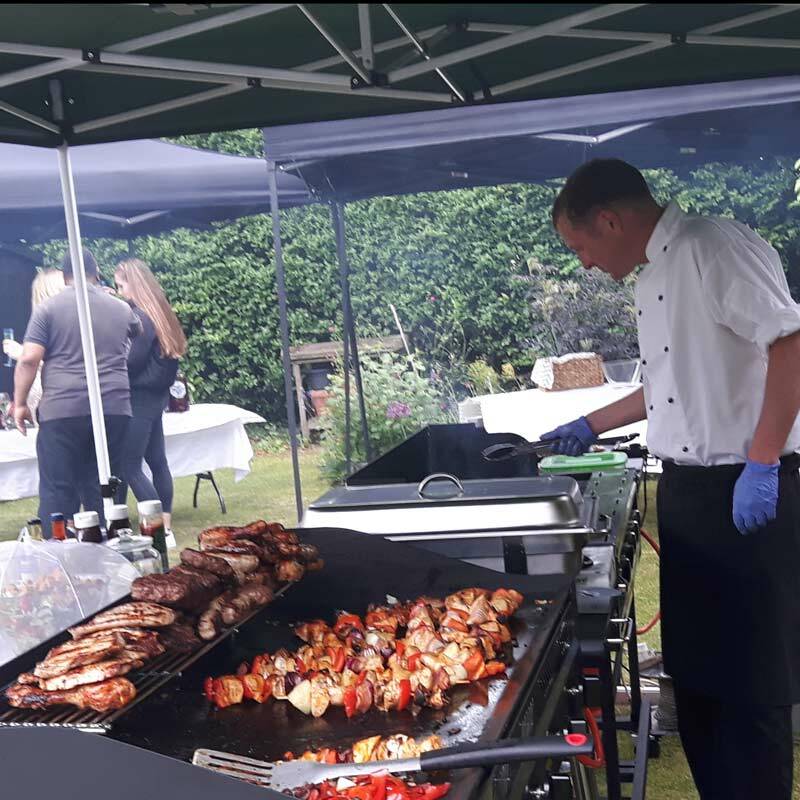 The machine is then turned on and left until the hog is cooked, producing very tasty succulent meat that falls off the bone ready for any celebration to wow the guests.